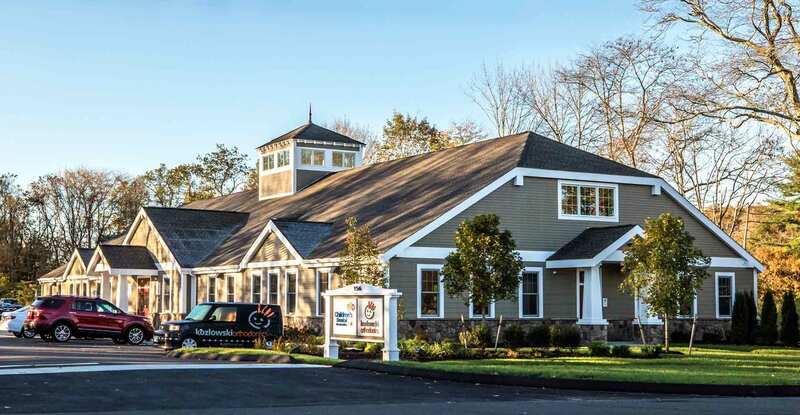 In 2016, Kenneth Boroson Architects was retained to design a new dental office building in East Lyme, Connecticut. 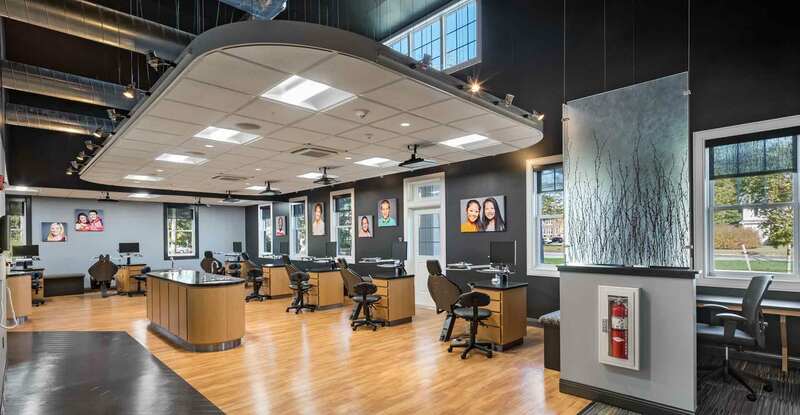 The goal of the project was to accommodate two separate practices under one roof: a pediatric dental practice and an orthodontia specialist. 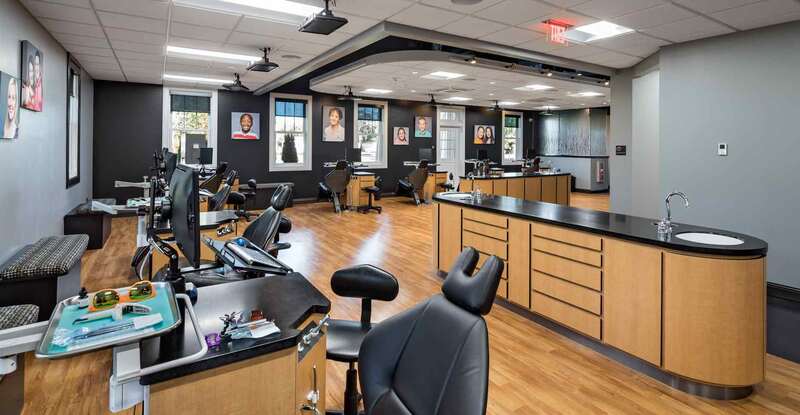 The narrow site previously included a small vacant home which most recently housed a salon. 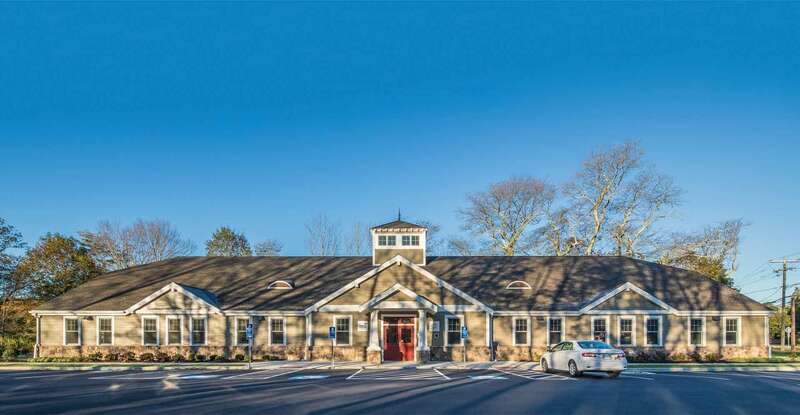 Its location on Boston Post Road in the new Gateway Planned Development District is within the heart of the commercial district, surrounded by retail, government, and medical properties. 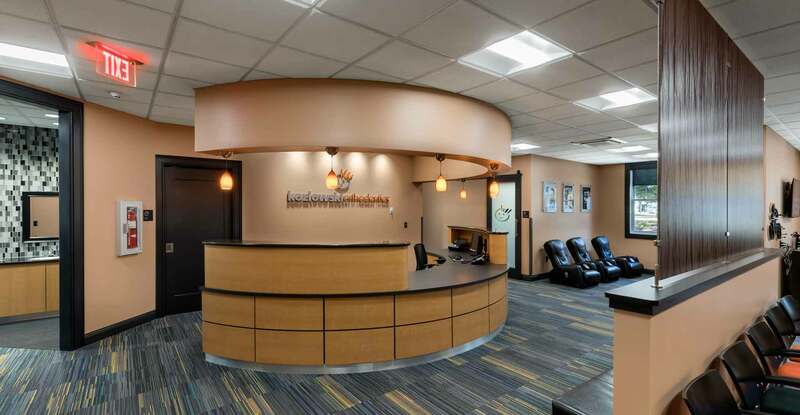 The site was strategically selected to provide a convenient location for patients; its proximity to the middle school and high school allows both practices to easily service their client base. 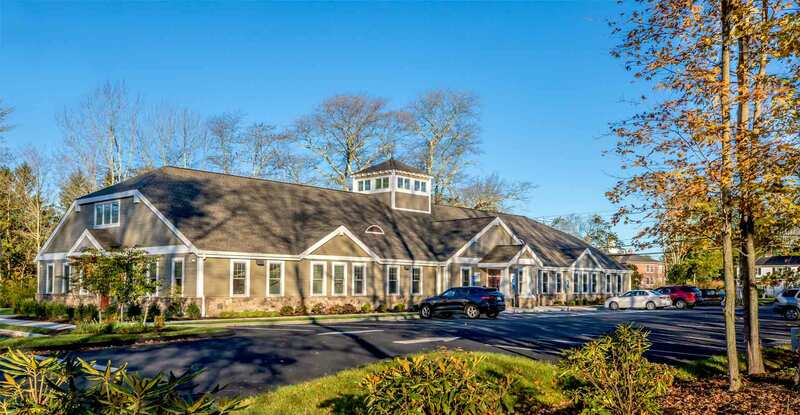 While the dental technology is state-of-the-art, the exterior of the new 9,000 sf building was designed to blend seamlessly with the traditional structures prevalent in this charming seaside town, and comply with the requirements of the Gateway Planned Development District. Because the GPDD has restrictions on flat roofs, the new facility was designed with a residential scale and feel, including varying roof lines and dormers. 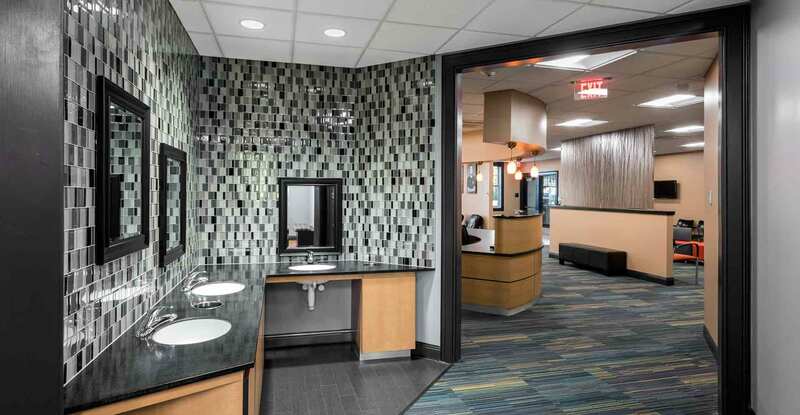 The Arts and Crafts design provided the opportunity to utilize materials not typically found in commercial buildings. 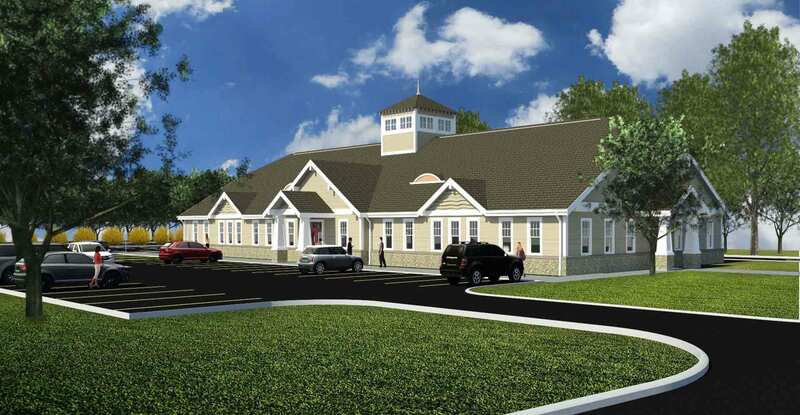 Our firm’s involvement with the Town’s Zoning Board was critical throughout the design and construction processes. 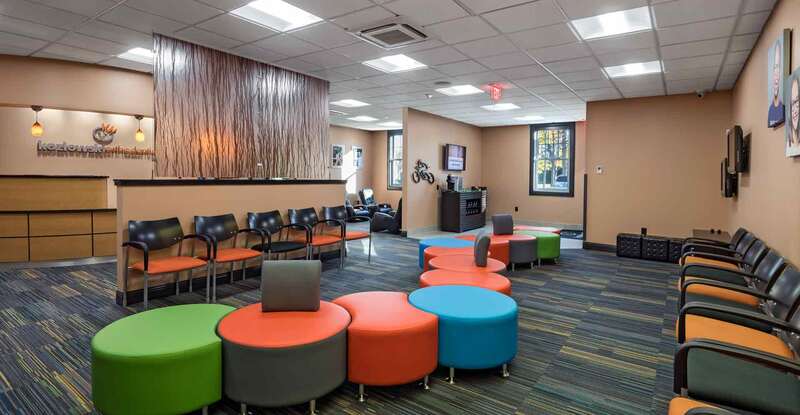 The building’s interior has design elements unique to each practice’s requirements, and separate identities are maintained. The schedule was fast-tracked to allow construction to begin before the winter of 2016-17. Due to extensive equipment installation and the separate schedules of each practice, full occupancy was granted in October, 2017.